Bhai Mani Singh Polytechnic College is an exciting place to study and grow where thinkers become leaders and where there is thirst for knowledge. We are committed to impart quality technical education to students to make themself reliant and there by bringing them to the mainstream of technological and socioeconomic development and contribute to development of nation..So let them contribute proactively to the development of their family, society and nation. BMS Polytechnic College embraced these goals, with the aim of imparting best knowledge to the students. Students are not provided mere degrees but skills are inculcated in them to make them perfect for any professional challenge. Transport Facility! Distance should not be a constraint in reaching out for quality education. Keeping this in mind, BMS Polytechnic has provided a well connected transport service to fetch the students as well as the faculty members from their locations to the college. Hostel Facility! 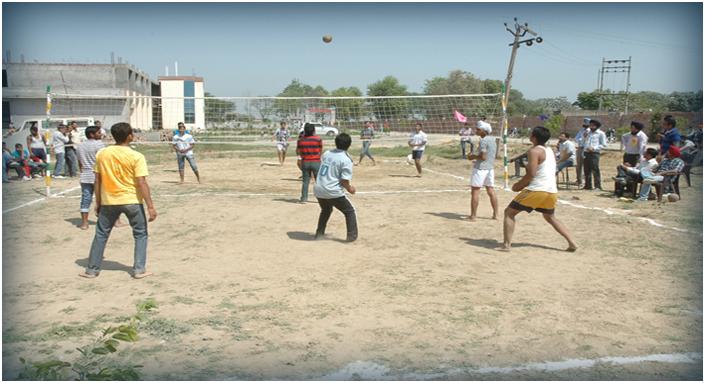 Separate hostels are available for boys and girls having capacity to accommodate 300 students respectively. The rooms are well furnished and air cooled with attached washrooms The Hostel Mess is a large air cooled hall furnished with dining tables and chairs having a seating capacity for around 100 students. All three healthy and vegetarian meals are provided to the hostellers. The Training and Placement Cell acts as an interface between the students at College and the industry, and enables the students to make better and more informed career choices. The placement cell provides guidance and assistance to students by inviting officers from industry/ academia to share their knowledge and experience with students through guest lectures, workshops, and seminars, and helps those securing suitable positions. A decent education is a passport to a good, comfortable and secured life. It enables youngsters to become contributing members of society through knowledge, skills and character development. To achieve this, BMS Polytechnic has provided all infrastructure facilities required for quality education. The institution has spacious CLASSROOMS, MODERN LABORATORIES, WORKSHOPS, COMPUTER CENTERS AND DRAWING HALLS. Along with sports, co-curricular & extracurricular activities ,short-term and value added courses are imparted to the students during the period of vacations. The institute has a placement cell which interacts with leading industries, arranges campus interviews and offers ample job opportunities to the students of all disciplines. Besides bestowing engineering knowledge, great emphasis is laid on character & discipline building among the students.